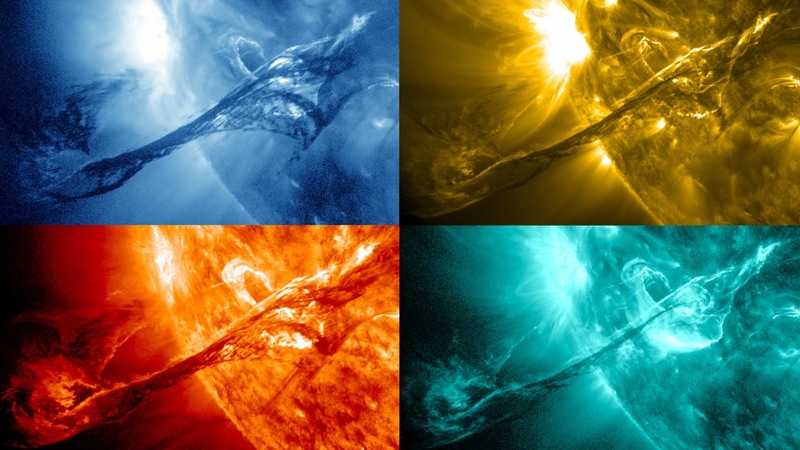 The research activity of the Space and Plasma Physics (SPP) group focuses on space plasmas, ranging from high altitude lightning to shocks in supernovae, and laboratory plasmas, ranging from semiconductors to laboratory devices. Our major effort is solar-terrestrial physics sponsored by NASA, NSF, AFOSR and ONR. The main objective of the research is to determine the cause-effect relationship of the interaction between the Sun and near-Earth plasma, and to develop the capability to predict the state of the geospace environment. The SPP group emphasizes interdisciplinary research in areas involving important collective phenomena. Other areas of research are the magnetospheres and ionospheres of other planets and comets, and solar radio bursts. Room 2309 Computer and Space Sciences Bldg.